The Health Design & Technology Institute (HDTI) at Coventry University supports the development of new and innovative community health care products, focussing on the ageing population and people with disabilities and chronic health conditions. the delivery of new multidisciplinary courses in design and health care. 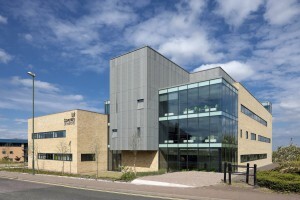 Located on Coventry University’s Technology Park, HDTI was established in 2009 and provides specialist consultancy support to companies developing community health care products and services, along with a flexible collaborative work space that allows companies to test and develop their products further. 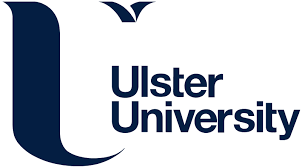 Examples of the support provided include usability testing of products, product design and prototyping, and designing healthcare apps (often in collaboration with the University’s Serious Games Institute). The developers at HDTI have worked with a variety of businesses and entrepreneurs in the health design and technology sector, leading to a number of interesting collaborations. The Teggy toothbrush was invented by staff at University Hospitals Coventry and Warwickshire NHS Trust to aid in the cleaning the teeth of patients who find it difficult to do it themselves. It includes a water reservoir in the base that sends a minor amount of water through small holes in the brush head when squeezed. Normal toothbrushes can be hard and inflexible, causing dryness of the mouth – making it more difficult for staff to help patients. HDTI assisted in delivering the concept design, design development, CAD modelling visualisation and prototyping of this product which is undergoing further development to be brought into the market. Another collaborative example for HDTI was the Orthros model, created by Geoff Harbach of LEMPIS. It’s a single-handed games controller, designed to have all the functionality of an original manufacturer’s controller for games consoles like Playstation and Xbox. It was created so that the gaming experience is more accessible to a wider range of users who have difficulty using the generic two-handed controller. HDTI was involved in this project from its early stages, defining the ergonomic industrial design, producing physical models, CAD modelling and visualisation. It is now in the detailed design stages. HDTI also assists with the researching of products. One notable project came when Peter Greedy, managing director of Greeper, approached the institute to investigate whether his innovative shoe laces and “Greeper assist” device might be suitable for those with dexterity problems. Greeper laces allow you to tighten and loosen your shoes with the use of a toggle, with the “Greeper assist” being developed for those can only use one hand tying laces. HDTI undertook an evaluation of the Greeper products and their instructions for use along with healthcare professionals. This allowed them to provide feedback into their functionality and suitability for their potential target market, and it also allowed the researchers to identify new potential user groups for the product. HDTI continues to work with a wide range of SMEs and inventors to assist them in turning their ideas into reality.